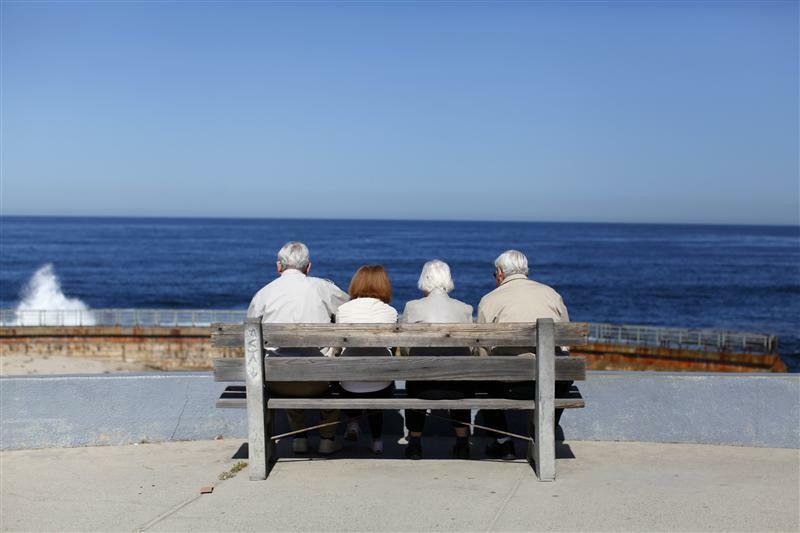 A pair of elderly couples view the ocean and waves along the beach in La Jolla, California March 8, 2012. Industrial-equipment maker Colfax will acquire DJO Global from Blackstone for $3.2 billion in cash, it said on Nov. 19. The price represents a multiple of 11.7 times the orthopedic-brace and implant maker’s adjusted EBITDA. Colfax will issue up to $700 million of equity or equity-linked securities and as much as $2.7 billion in bonds and loans to finance the purchase.